You really want to start a business, get a promotion, find a partner or lose those last 15 pounds you put on over the past year. But as soon as you try to improve your career, love life or physical health, something holds you back. You cannot begin to take action because you doubt yourself. You are too afraid to move forward because inside, you think you are already a failure, or you are too worried about the consequences that may occur. You are not alone. In fact, research shows that more than 85% of people struggle with self-doubt. It’s probably more like 100% in actuality. Having self-doubt is going to hold you back in life. If you want to snag a promotion at work, be respected among your peers, build a marriage with the person of your dreams, be in top physical shape and live a happier, more fulfilling life, you are going to need to battle your self-doubt and construct real confidence within yourself. The following are some ways you can achieve this and break the negative cycle you’re currently experiencing. You may think you are struggling to get a work assignment completed or wrestling with the idea of going on the treadmill. But you are not. You are actually fighting with your feelings about these activities. According to neuroscience research, our feelings decide for us 95% of the time. You have to conquer your feelings. You must realize that you are capable of doing anything you put your mind to, even if you don’t feel 100 percent like doing it. Whatever it is you are attempting to accomplish, stop thinking about it so much and building up feelings around it. Instead, count down from 5-4-3-2-1 and then GO. In the morning, instead of hitting that snooze button, wake up at the first alarm, count down from five and jump out of bed. If you want to speak up in a meeting, but are feeling afraid, count down and then speak as soon as you get a chance. If you train your brain not to hesitate, you will be able to make logical decisions instead of relying on your feelings. You will eliminate self-doubt in no time. You do not have to be perfect to get ahead in life. Everyone, especially women, are held back by the idea that you have to be perfect to get whatever you want. According to a study by Hewlett Packard, men apply for promotions when they meet 60% of the requirements, and women only apply when they meet 100% of them. Confidence is what it takes to get ahead in the workplace. It also leads to a high status and more respect among peers. Confidence matters more than competence, oddly enough. Remember that perfectionism will make you less confident, more risk-averse, fill you with self doubt and keep you from taking steps that will build your confidence. It is not something to go after, because you will never really achieve it. Instead, be confident in your abilities. You’re probably doing great at work, but you don’t believe that you deserve it all. You think that at some point, everyone is going to find out you are a fraud and not worthy of success. This is called imposter syndrome, which research shows that over 70% of people have felt this way at some point. You need to tell yourself that your success is not an accident at all. You got to where you are by working hard. When start to doubt how you got to where you are, take inventory of everything you have accomplished in the past. Then you will be able to rid of imposter syndrome once and for all. Do you sit quietly at work meetings, too scared to speak up out of fear of being judged? Do you doubt your ability to make a positive contribution to your company? Do you never bring up the hard work you’re doing, but instead chug along, doing everything behind-the-scenes? If you want to convince your colleagues that you are a crucial part of the company and build your confidence at the same time, make yourself visible. Let people know what actions you are taking and do not be afraid to assert yourself when necessary. Do not sit back and take notes in meetings, because then colleagues will think of you as the secretary. If you need to, write down only a few bullet points. Listen to what is going on in these meetings and contribute when you can. Prep yourself beforehand to figure out what you are going to say. Once people believe you are more confident, they will treat you with more respect, and that will, in turn, increase your self-esteem. Fear of failure is what leads to self-doubt. It stops you from trying in the first place. But you cannot be afraid to fail. You should not be scared to take risks. At tech companies like Etsy, Facebook and Google, employees are encouraged to embrace failure. At Etsy in particular, employees have to send out emails to their colleagues after they fail. They must document why and how these mistakes happened. The company does this because it inspires innovation and risk-taking. Employees aren’t afraid to take a chance because they know the consequences will not be negative. You should create a report of your past failures and detail why things went wrong. Instead of sulking about your mistakes, simply learn from them for the future. This practice will boost your confidence and train you not to doubt yourself, even when you are in a risky situation. 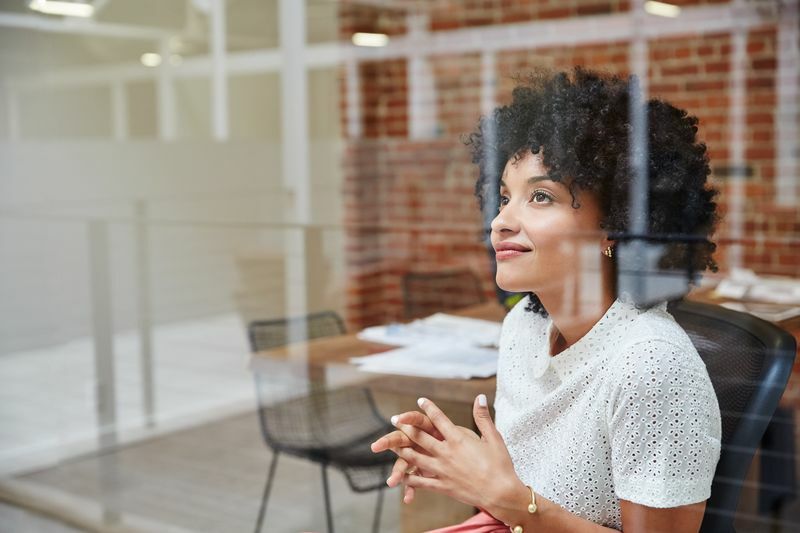 By relying on your brain instead of your feelings, being comfortable with imperfection, making yourself visible and not letting fear of failure hold you back, you will be able to go after what you want and accomplish all of your career and personal goals. The post How to Break the Habit of Self-Doubt and Build Real Confidence appeared first on CreativeLive Blog.